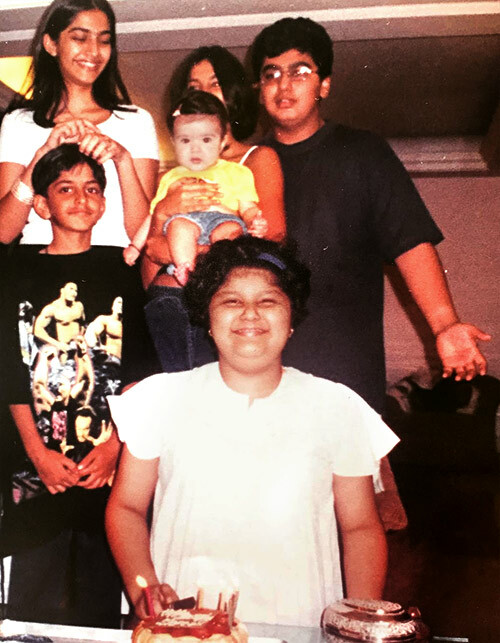 Stars share their throwback pictures and takes us in flashback with them. There is nothing like too many celebrity pictures. Whether it's the latest still of a movie, red carpet appearance or a walk to the gym, the world can't get enough of their favourite star or their kids in action. But it's the rare, little-seen throwback capture of actors at their unguarded best that tell stories. Four years before she became a household name following Qayamat Se Qayamat Tak's super success, Juhi Chawla stepped into limelight as Femina Miss India 1984. 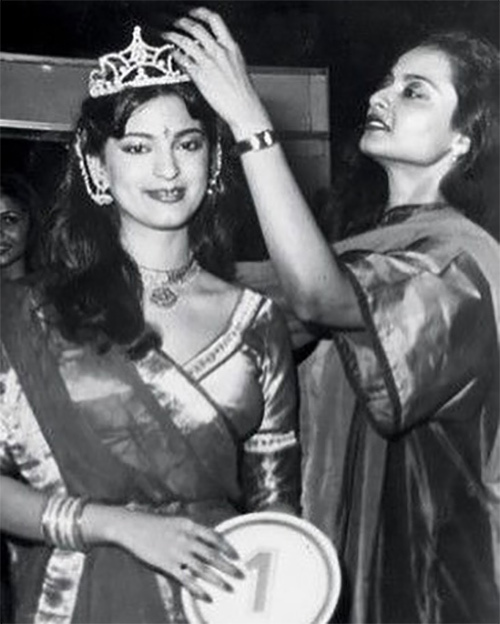 Indeed that's Rekha placing the shiny crown on Juhi's head. Juhi's simplicity, Rekha's easy style and a complete lack of artifice of an increasingly cosmetic ritual are refreshing to note in retrospective. 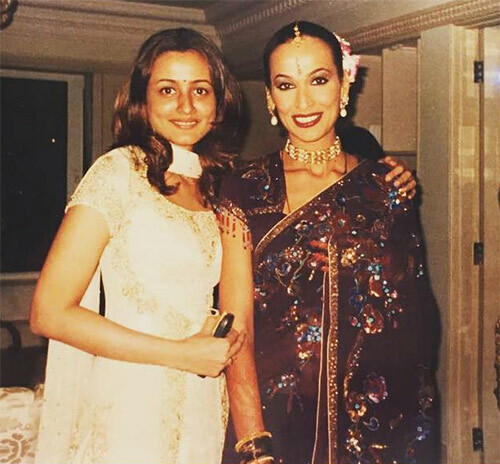 Speaking of Miss Indias -- beauty queens, friends, fellow models and '90s fashion horses, Namrata Shirodkar and Madhu Sapre continue to stay close. The affection is clear in this picture taken on the latter's wedding day. Sapre married an Italian businessman in 2001 and moved to Italy. Shirodkar lives in Hyderabad with her husband, Telugu superstar Mahesh Babu, and their two kids. Tabu has worked under Gulzar in two films -- Maachis and Hu Tu Tu. Her stunning sensitivity in Maachis not only won her a National Award, but also recognition, as one of India's finest actors. The duo share an affectionate bond where she regards him as a father figure, a feeling perfectly captured in this photograph taken on the sets of Hu Tu Tu in 1998. Tabu is close to his daughter Meghna as well and starred in her directorial debut, Filhaal. 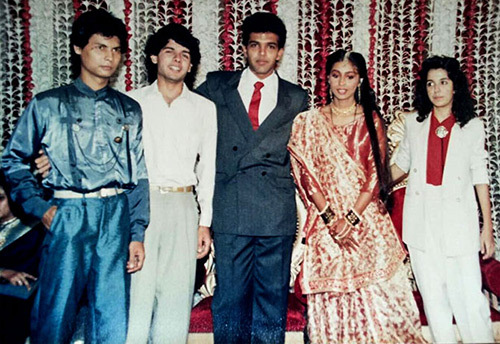 Anil, Boney and Sanjay Kapoor and their kids are a close-knit family. 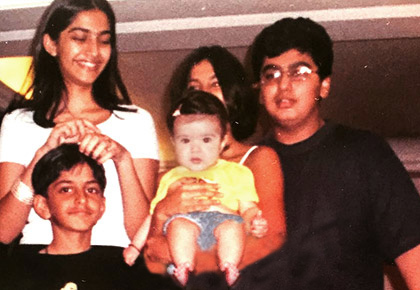 And while we may be witnessing this sibling bonhomie only now, this sweet throwback to their bachpan featuring a bespectacled Arjun, giggling Sonam, happy Anshula, hiding Rhea, adorable Shanaya and wrestling loving Harshvardhan speaks volumes of their bond. Arjun Kapoor shows we aren't the only ones put off by lengthy wedding ceremonies. 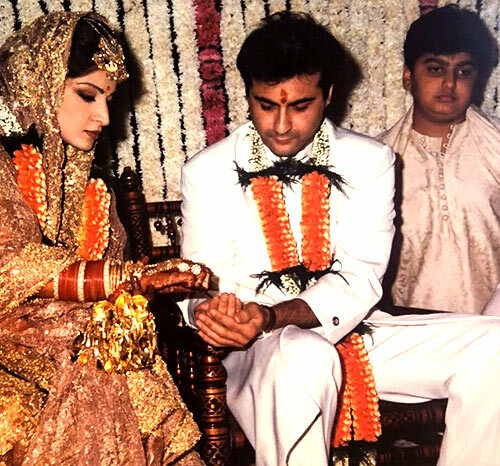 That rather-be-at-home-playing-Nintendo expression on the actor during chachu Sanjay Kapoor's nuptials to Maheep says it all. Before making his acting debut earlier this year in Majid Majidi's Beyond the Clouds, Ishaan Khatter, half brother to Shahid Kapoor, assisted Abhishek Chaubey on the critically acclaimed Udta Punjab. You can see his involvement on location as he coordinates a shot with its leading lady Alia Bhatt who won rave reviews for her deeply moving performance. 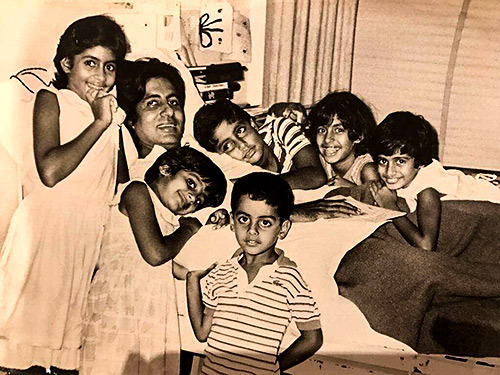 Abhishek Bachchan shares this childhood memory from the mid-'80s when his superstar father was hospitalised and receiving treatment for myasthenia gravis, an auto-immune disease. Oblivious to the seriousness of the ailment, the actor -- along with his elder sister Shweta and cousins -- flanks Big B who braves a smile through the physical pain and lives up to his invincible image. Going through old albums can be an emotional experience. Sometimes hilarious too. Trust Bollywood's other Mrs Funnybones to recognise that. The occasion is Ashutosh Gowarikar's wedding reception to Sunita who also happens to be Deb Mukerji's daughter and Ayan Mukerji's older sister attended by siblings Farah and Sajid Khan. Back when everyone was slim and stylish in an oh-no-it-must-be-the-'80s sort of way. Embarrassing or not, the pic sure helped restore peace between Gowarikar and Sajid Khan after the latter mocked his film-making at an awards show. As we gear up to catch Ranbir Kapoor's rendition of Sanjay Dutt's topsy-turvy life in Rajkumar Hirani's biopic, here's a glimpse of the real thing. 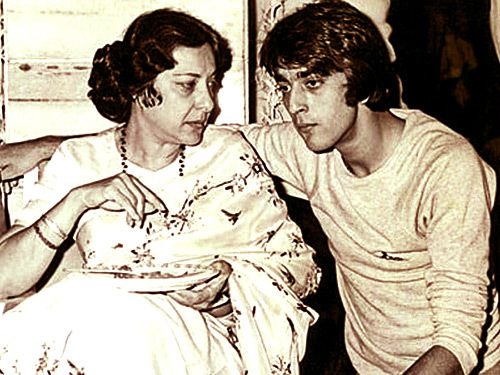 Dutt lost his mom, the legendary actress Nargis days before the release of his debut film, Rocky in 1981. 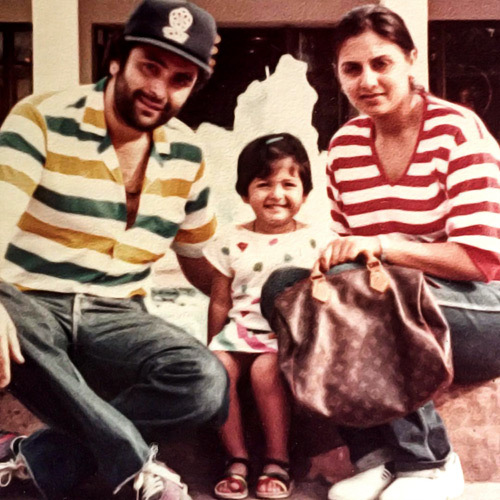 How cute is Neetu Kapoor twinning in stripes with significant other Rishi Kapoor (in an uncharacteristically scruffy beard) alongside daughter Riddhima and a Louis Vuitton handbag during a holiday? Looking at Disha Patani's SUPER HOT life!